For many electric car owners, charging at work is a nice bonus, but not a necessity. For others, it’s the difference between choosing an electric vehicle, and not doing so–the extra charge at work makes all the difference. But there’s another reason charging at work is important, and it’s all to do with the electricity grid and the “duck curve”. 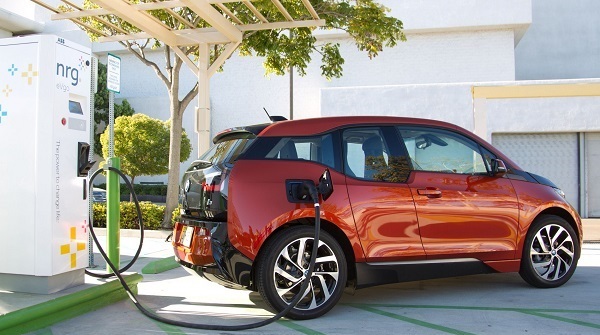 Chargepoint founder and CTO CEO Richard Lowenthal explains the duck curve–and the benefits of charging in the “duck’s belly” on Greentech Media. As we all know, electricity use ebbs and flows. Households and businesses turn on their lights and computers early in the day, leading to a small energy surge. During the day, use is pretty consistent. But as the world goes home for the evening, lights, televisions, air conditioners, ovens and other electrical appliances are all used at once, leading to a spike in demand that energy companies must always be prepared for. Utilities are prepared all day, of course–varying generation according to how much energy is used at peak times. The trouble is, power stations can’t match output precisely with use–any extra use would catch out the grid and the lights would go out. Running a power plant at lower loads is often inefficient too–they have to be producing a constant flow of energy to be working efficiently. And ideally, people need to be using this energy. This is where the “duck curve” comes in. Developed by the California Independent System Operator, or CAISO, it’s based on the possible future scenario where customer-sited solar panels reduce the demand of grid-sourced electricity to very low levels. This is most likely on sunny but cool days in the spring and fall, when air conditioner usage is lower than that of mid summer, and households and businesses are drawing less power. Energy companies would have to reduce generation to avoid producing far more electricity than is used–but still have to crank up the power towards the end of the day when people come home from work and begin using electrical appliances in huge numbers. This is the “duck’s belly”–a deep curve of reduced generation leading into a steep climb at the end of the day–an inefficient way of generating power. 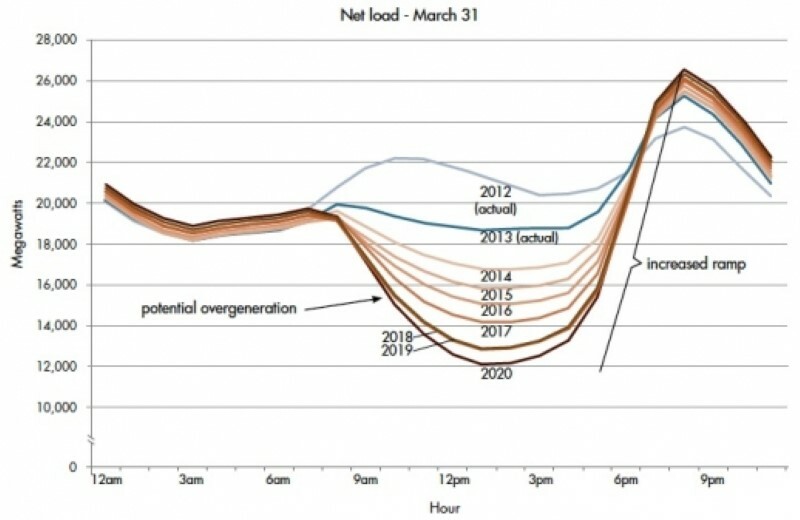 The duck curve graph shows future energy generation figures as more and more renewable energy is generated during the day–and the disparity between power generation during the day and towards the end of the day grows. The duck’s belly gets deeper. Workplace charging could fix this scenario, by giving us a flatter duck. That doesn’t sound great for our aquatic friend, but it’s good for generation. Should thousands of electric vehicles plug in at work during the day, energy suppliers would need to generate more power during this period. This reduces the “belly”, in turn reducing the “ramp” towards 8pm, and more consistent generation means greater efficiency. It costs money to generate power, so generating it more efficiently is much better value for all parties involved–helping reduce costs for the customer.